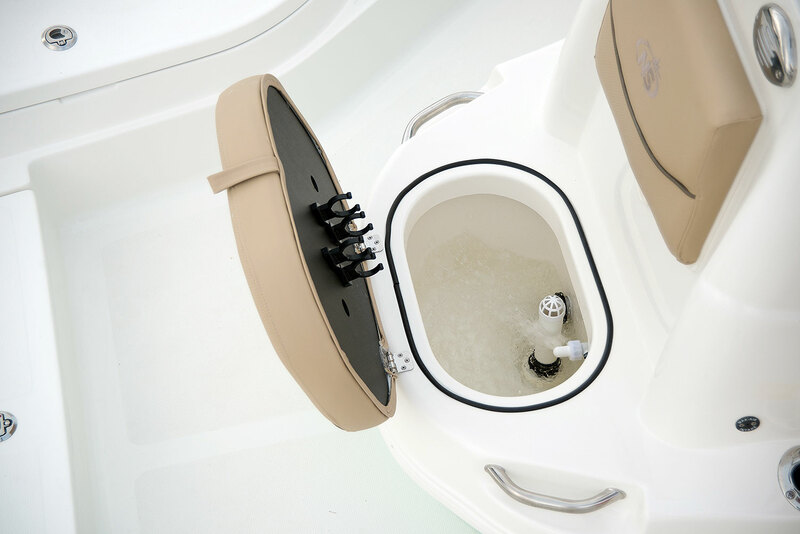 Fresh Water System - 6 Gal. 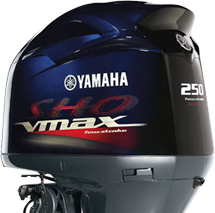 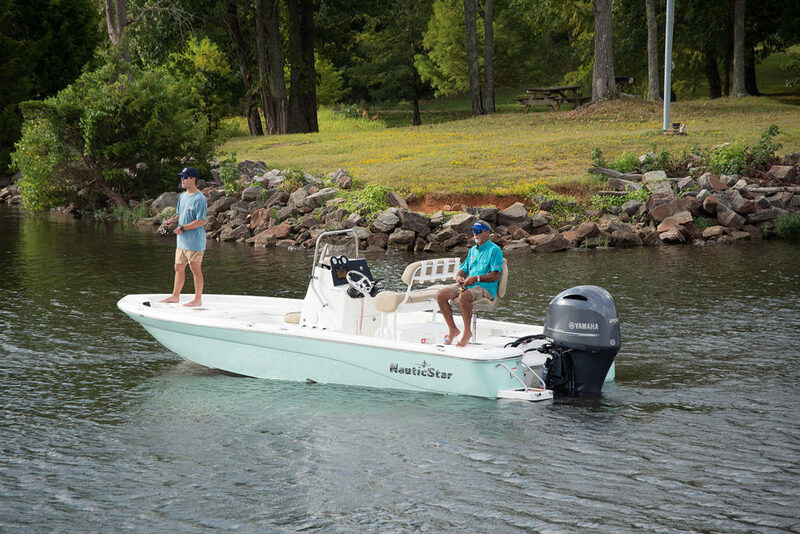 Includes Reverse Hull Color, 4 additional Courtesy Lights, 2 LED Underwater Lights, Lean Post w/ Bucket Seats, YETI® Cooler w/ Slide, and Flow Rite Pump-Out Sprayer on Front and Rear Livewells with Overflow Drain. 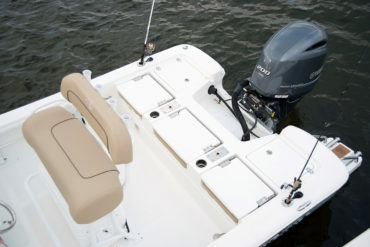 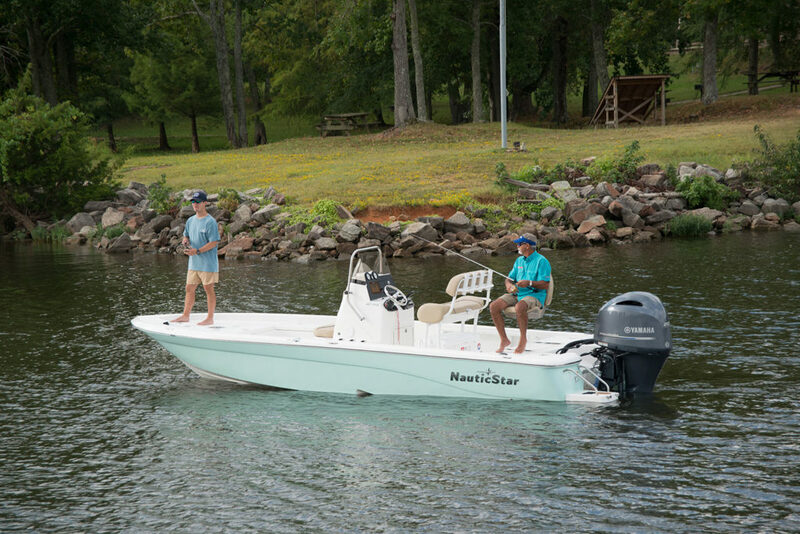 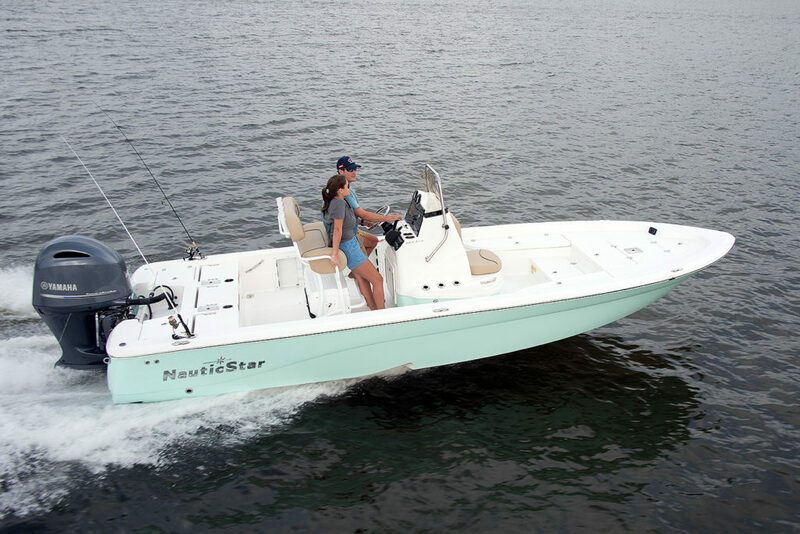 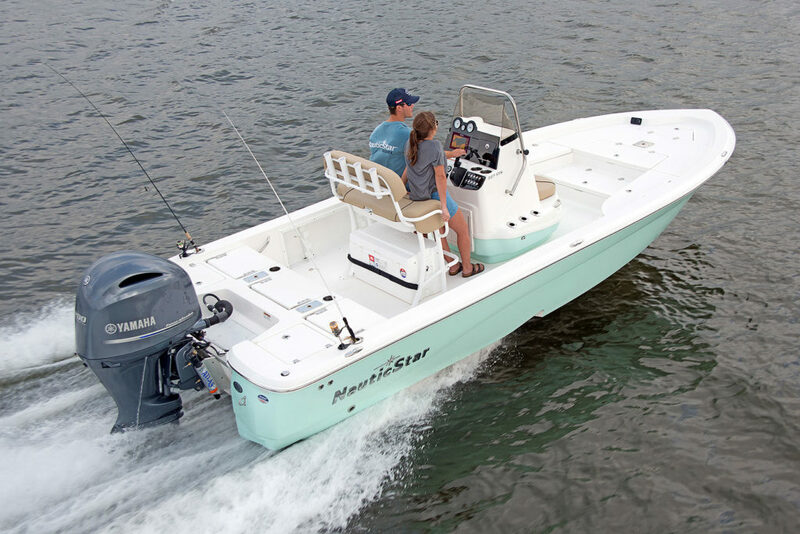 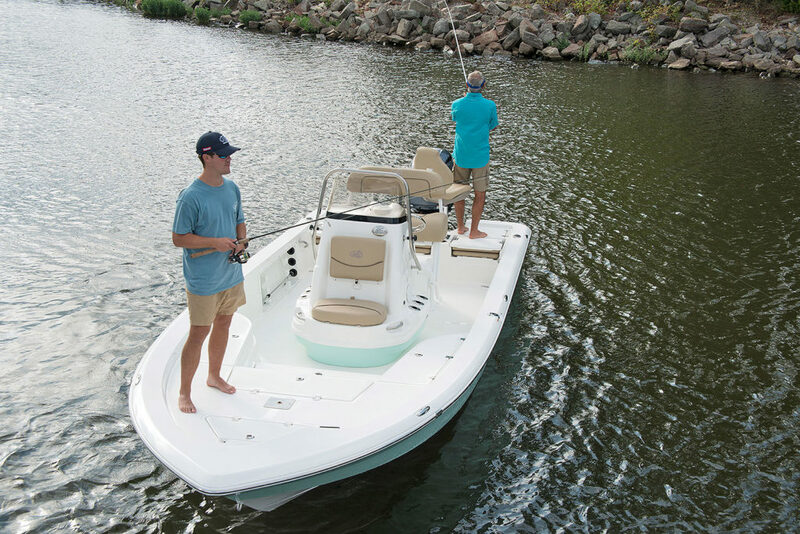 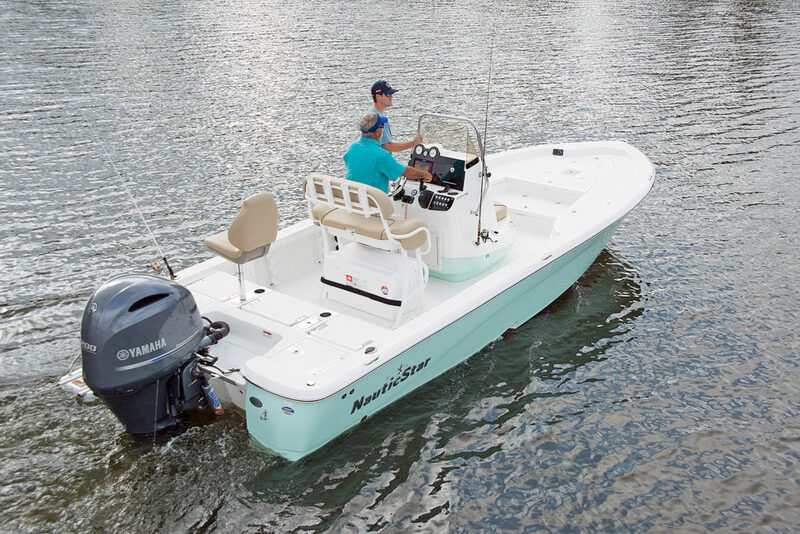 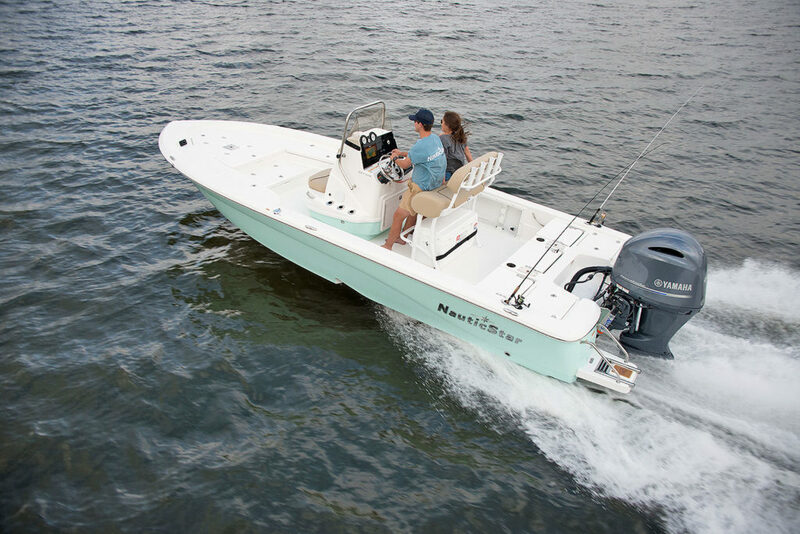 The roomy bow steps up to a wide fishing platform. 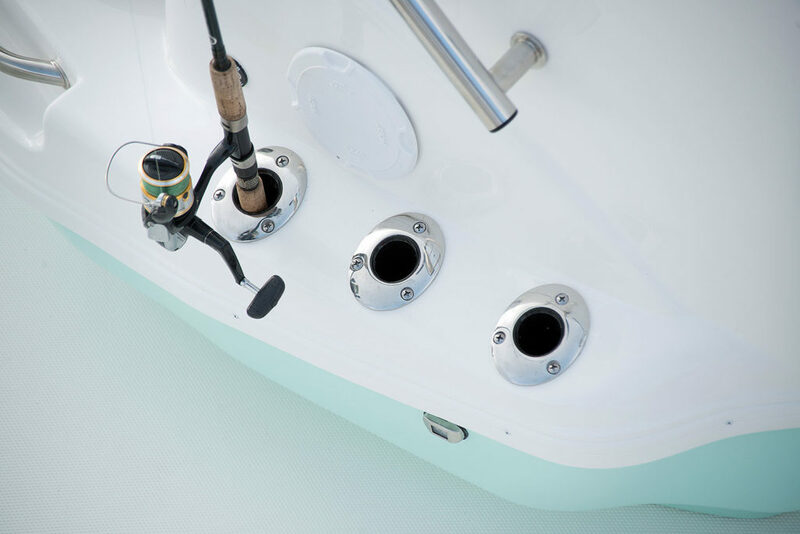 In the step, there is a 30 gallon insulated fish box, with another dry storage on the fishing deck. 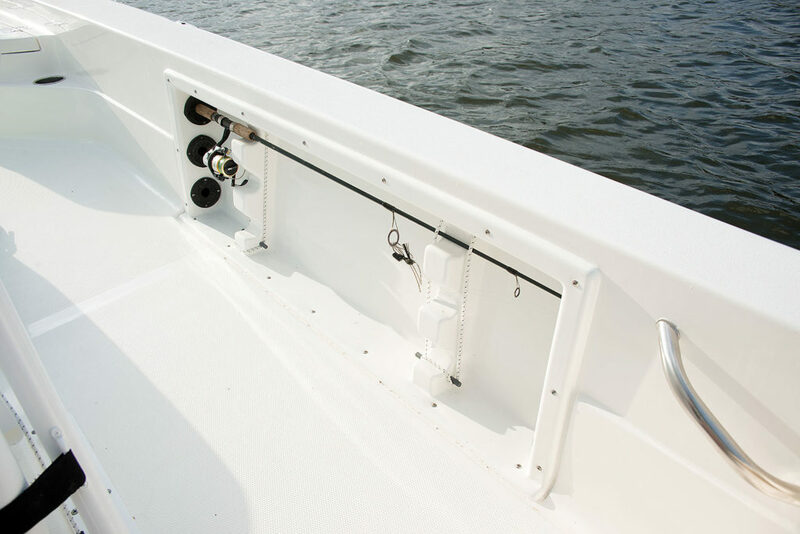 It is flanked by port and starboard rod lockers with organizers for 10 rods (5 each side). 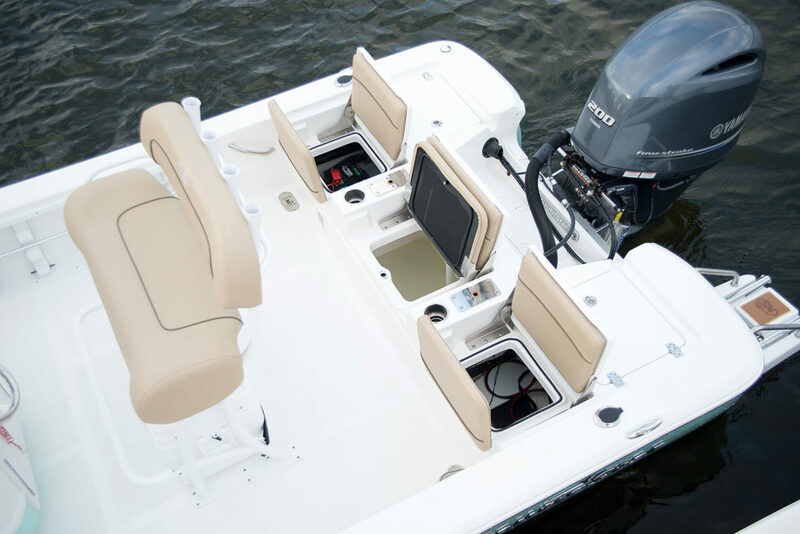 The aft fishing deck converts to 3-across passenger seating when in the down position. 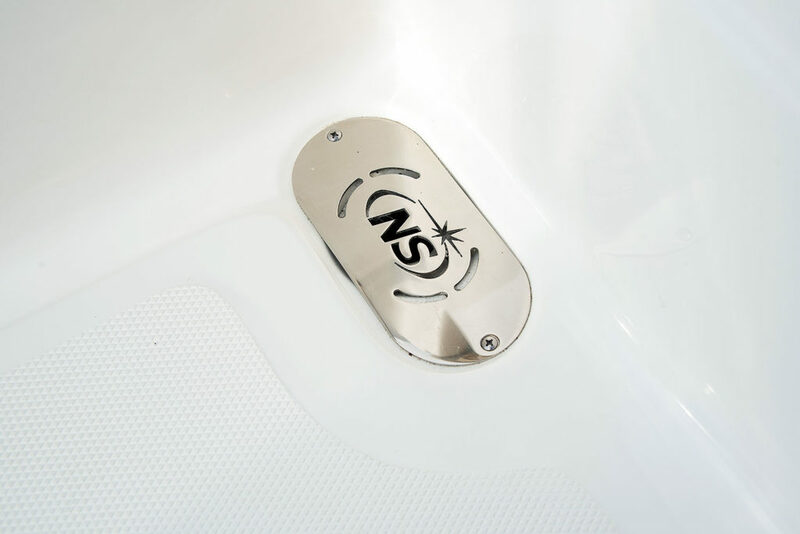 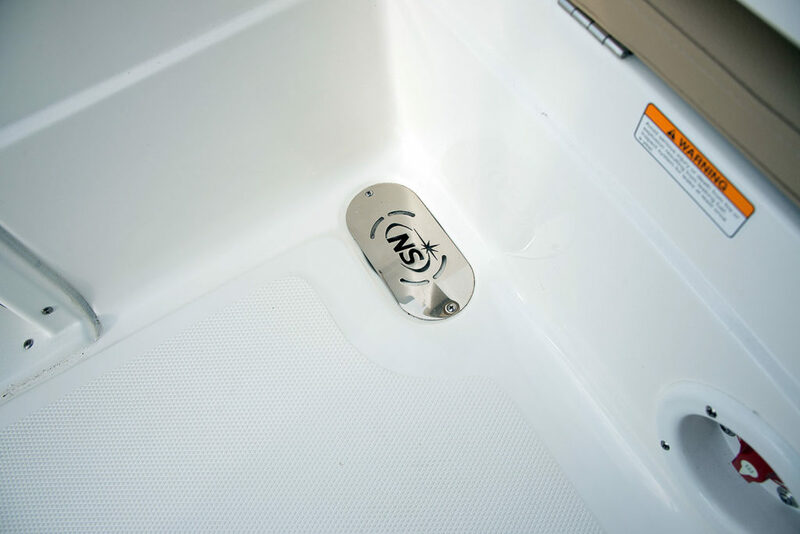 Each jump seat has a stainless steel latch. 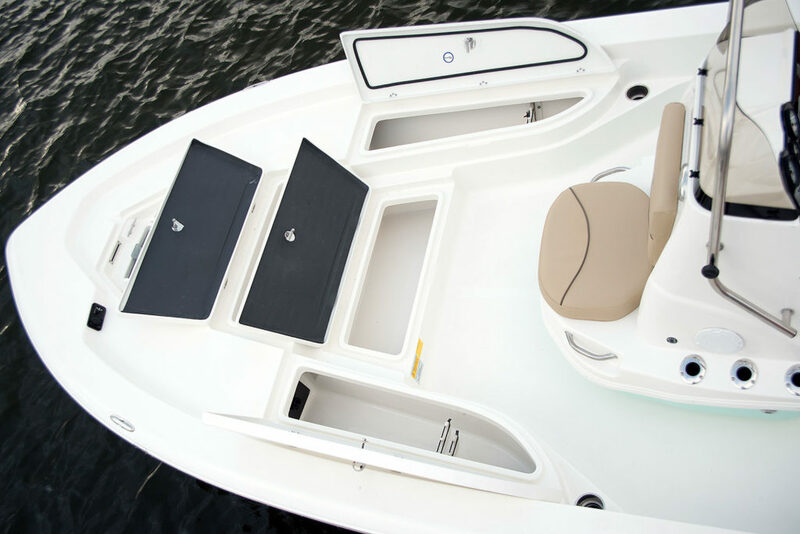 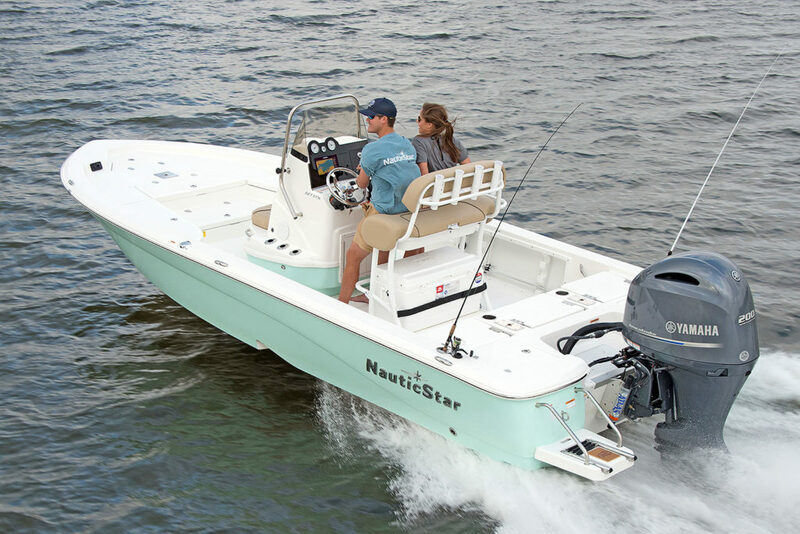 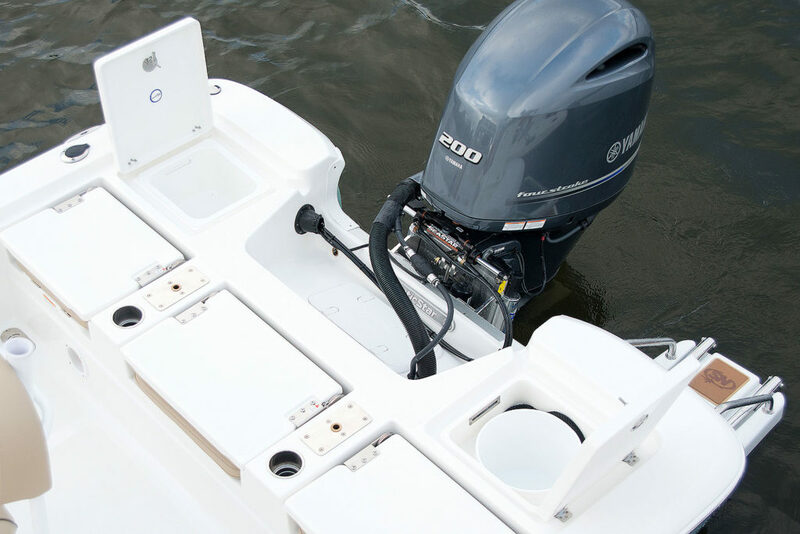 The center seat has a 40 gallon livewell/baitwell, the starboard seat opens to battery storage while the port opens to a storage compartment. 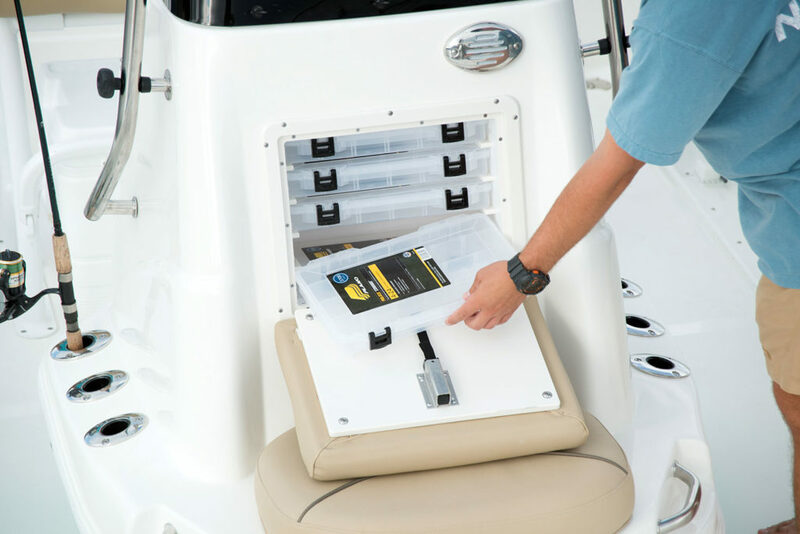 There are 2 additional storage compartments. 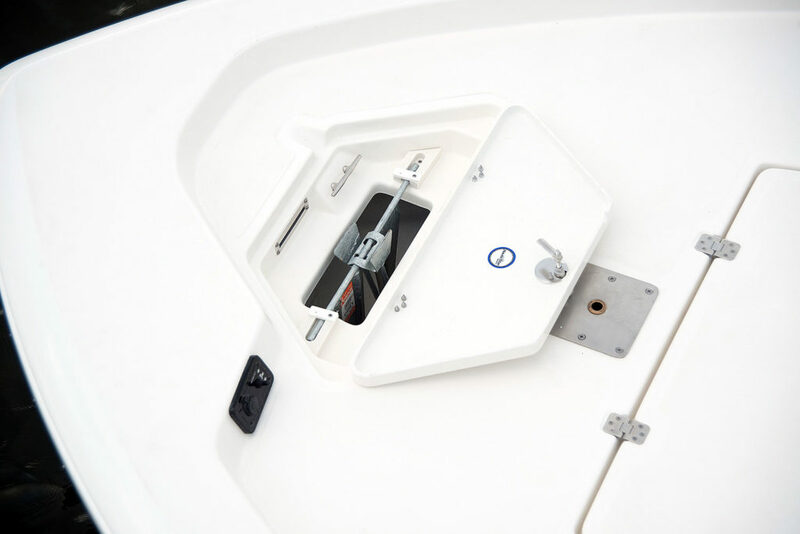 The port side compartment has cast net/bucket storage and the starboard, removable tackle storage (optional Plano boxes). 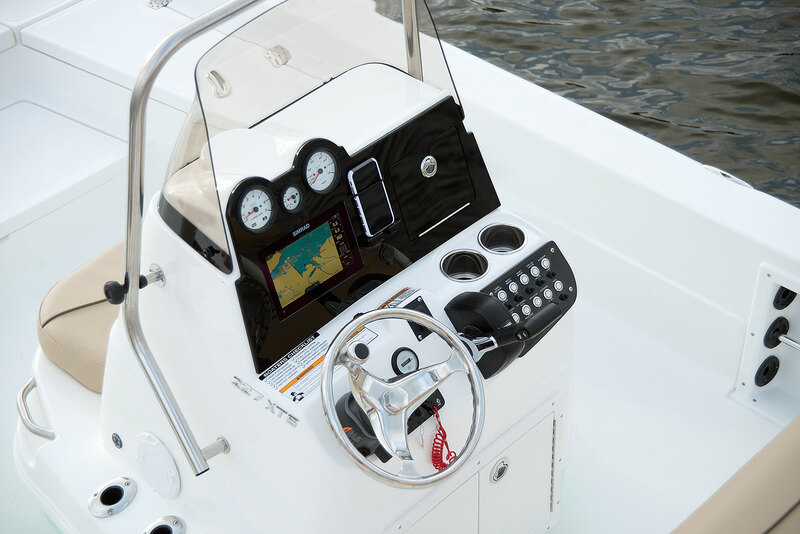 The console, shown with the optional blackout package, has room for up to 9 inch electronics, has a black acrylic glove box, lighted stainless steel pushbutton switches, stainless steel drink holders and steering wheel with power knob. 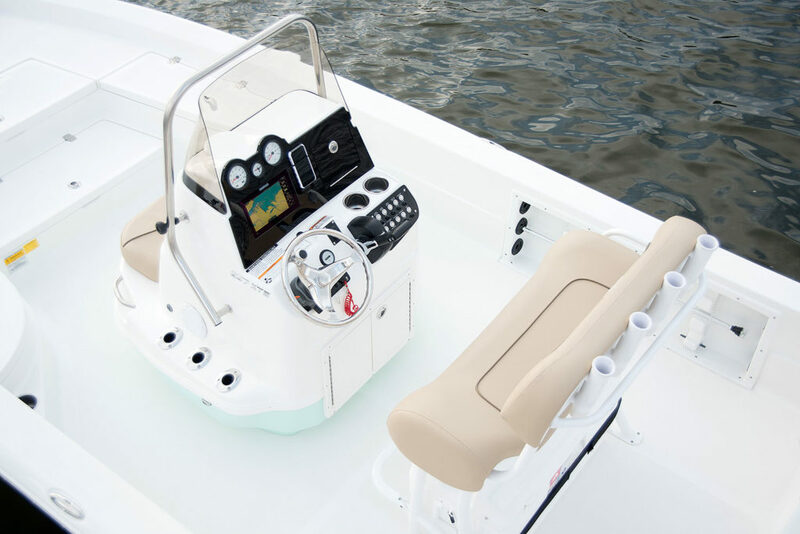 The forward facing console seat has a 13 Gal livewell/baitwell with standpipe overflow drain. 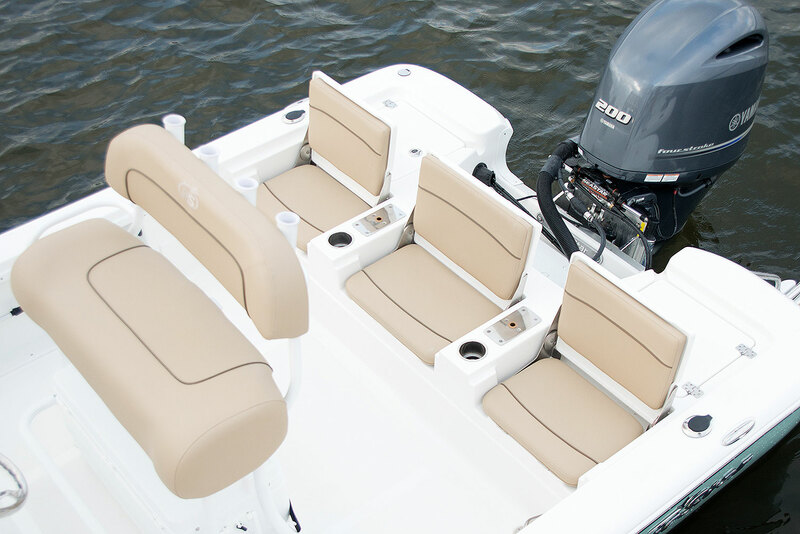 The 3-across jump seats provide comfortable passenger seating. 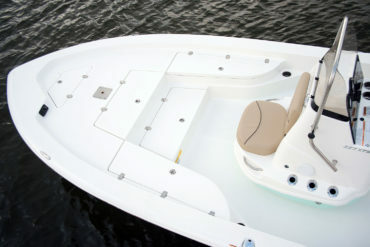 The back flips down to form the aft fishing deck. 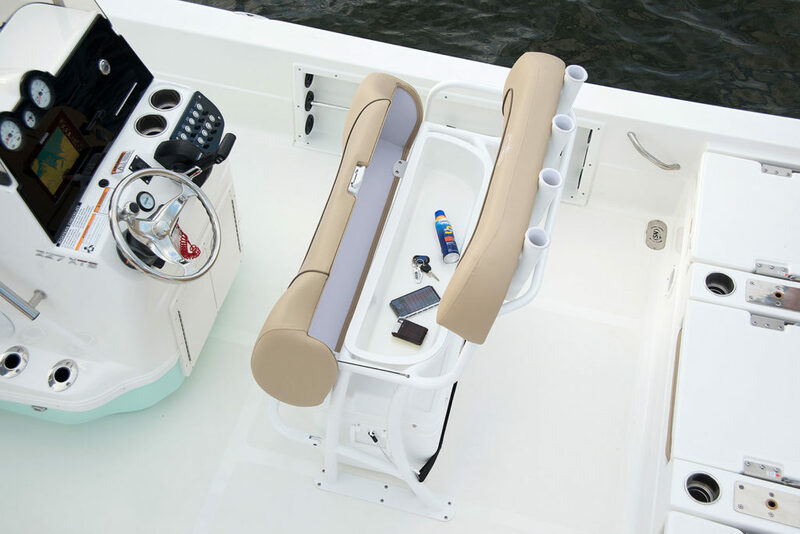 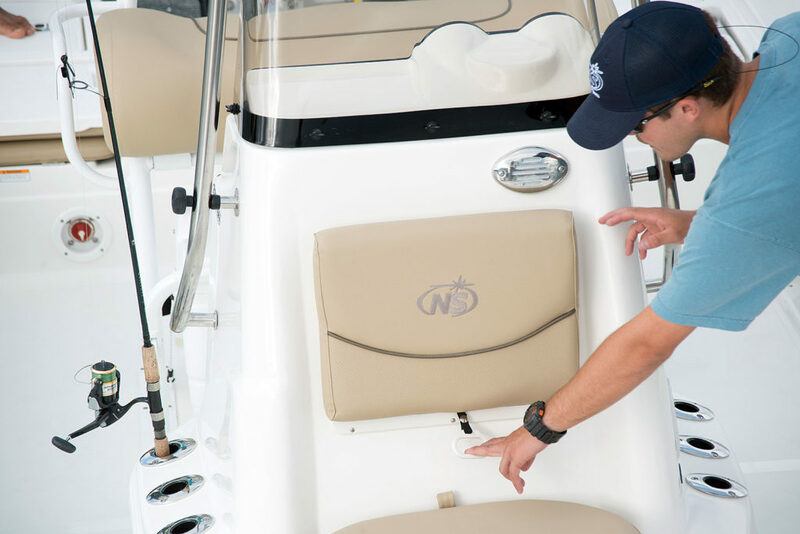 Also shown are the stainless steel drink holders, stainless steel pedestal fishing seat bases, gunnel rod holders and pull-up cleats. 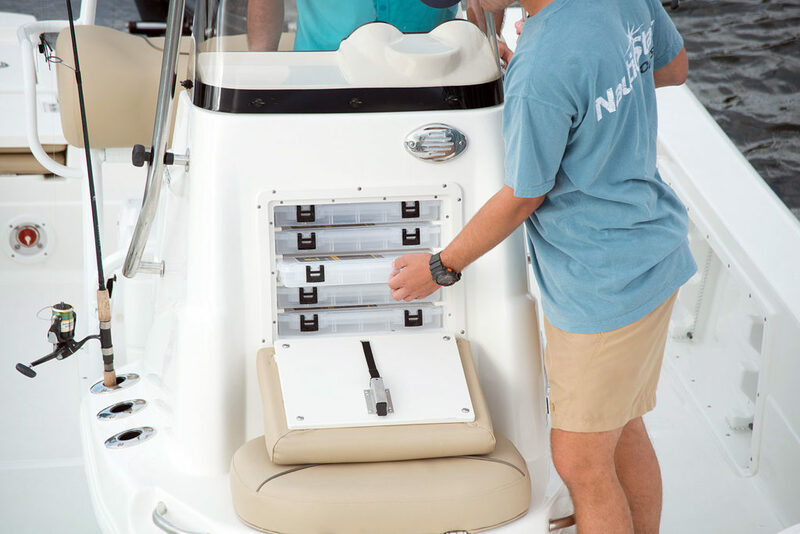 The port and starboard rod lockers have organizers for 10 rods (5 each side).